Tonight is round 1 of what most likely will be a career long comparison between Phil Kessel and Tyler Seguin. Is it fair to do? Not a chance! 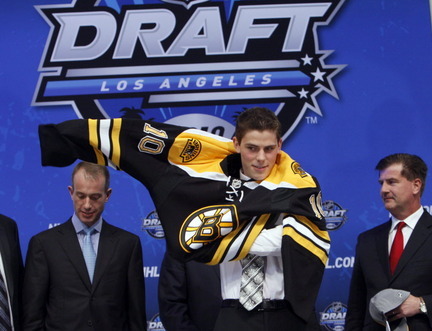 It doesn’t even make sense because there is still another first round pick in the picture for the Boston Bruins. But it is definitely fun to look at because there is little chance that the Leafs can come out on top of this deal. This entry was posted on October 28, 2010 at 12:28 pm and is filed under Hockey Thoughts with tags 2010, bruins, kessel, leafs, Nhl, season, toronto, tyler sseguin. You can follow any responses to this entry through the RSS 2.0 feed. You can leave a response, or trackback from your own site.